Is it snowing in Āb Alī ?Thank you! 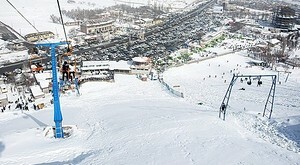 Ab Ali (Āb Alī Ski Area) was the first resort in Iran to install lifts (1932). 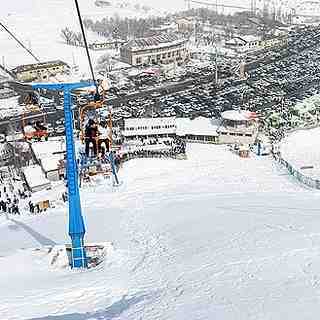 Located 75km east of Tehran, Ab Ali (Āb Alī Ski Area) is notably different to other Iranian ski resorts on account of the non-skiing interests. 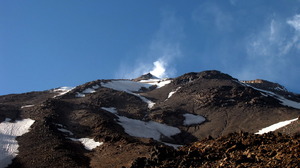 These are the thermal springs and the Imam-Zade Hashem Holy Shrine. 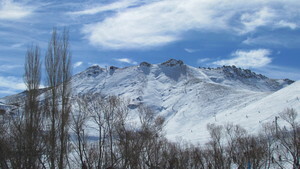 Skiing at Ab Ali (Āb Alī Ski Area) is from late December to mid-March. It is a training site and is comfortable for beginners. There are several stalls which rent the ski gears for an affordable price. The entrance ticket is really cheap and the resort has about 8 gondolas.